We all know how out of control our own closets can get, much less our doll closets. Continuing our theme of tackling New Year Resolutions, we are cleaning out and organizing our closets! Get your dolls into something comfortable that you can easily take on and off to try on clothes. It’s hard to part with clothes, but this is the time to get realistic and cleanse your closet! Don’t let everything end up in the “Keep” pile. Donate and Swap should be growing piles as well. We’ll talk about swapping later. Another important thing to determine is whether or not items need mending or cleaning. Be sure to start a separate pile for this category. Once you have determined the items that will stay in your main closet, place them back into your closet so that it’s a vision of loveliness! I try to color coordinate and separate by type, but do what works naturally for you. 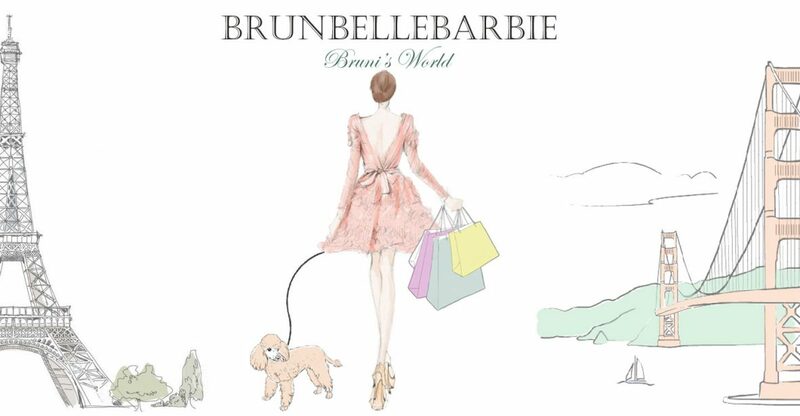 Of course, this is not all of Bruni’s clothes, but it’s definitely some of her favorite items. To add a little bit more luxury to the closet, we used gold hangers. These can be made using the familiar method using jumbo paperclips. In this case, we used gold paperclips that can be found online or at most office supply stores (click on the link to find them on Amazon~ Gold Paperclips). We also add miniature clothes pins painted gold to create skirt hangers. Disclaimer:If you are underage, please ask for adult assistance or supervision. The next step is to address the rest of your doll clothes and accessories! As with Bruni’s closet, I piled everything onto my real bed and started separating items. I used a few different bins to separate out clothes and accessories. We used some containers found at Dollar Tree to separate out small accessories by category and embroidery floss containers to organize shoes by color. The clothes are stored in either mini drawers or clear shoe boxes. Their mini wardrobe is housed in one of these labeled drawers and their accessories are stored in the small containers that can be found at Dollar Tree in the food storage section. If you are interested in creating a similar style closet, these are the products I used. The cupboards are reasonably priced and the small drawers can often be found on sale at Target. The clear shoe boxes can be picked up at the Dollar Tree or any household store. I mentioned swapping earlier, since Bruni has first right of refusal on all clothes, her wardrobe is susceptible to getting the most out of control. Since her style is very specific, she may buy items that often don’t suit her, so one of her other dolly friends might be better suited to the garment. If you’ve ever been to a real clothing swap party, just apply those party tips to your dolls. Host an evening of wine and cheese and trade away the clothes that no longer work for you. I bet there is even a way you could do this for real with some of your closest doll friends through Instagram DM! We hope you found this helpful and that you find some tips that will help you organize your doll clothes and accessories! Thank you so much for stopping by, if you’d like to get email notifications when we post, please click on the “Follow” button. Next week we are going to start talking about sewing your own doll clothes! I’m glad Lucy will get to share in Dee Dee’s fab wardrobe! Oh i love this what a great idea sure need a big one for my girls!! !